Is Drinking in Moderation Good for You? Like most other colleges, Penn State has a highly prominent drinking culture. The problem with this is a lot of people consume alcohol in a very unsafe and unhealthy manner called binge drinking, where a person is excessively drinking alcohol in a short period of time. This method of drinking proves to be an extremely dangerous and unhealthy way of drinking. Now you may think, Isn’t any method of alcohol consumption unhealthy? One study on published on CNN says otherwise. The study, that was done by researchers at Harvard University, began following about 14,000 white women in 1976. It examined women, aged in their 50s, who drank moderately throughout the week,these women being the control group and the drinking being the independent variable, compared to women who did not consume any alcohol whatsoever, the control group. The study found that women who were drinking a moderate amount of alcohol per week had about a 28% higher chance of not contracting any chronic illness, physical disabilities or mental illness by the time they were 70 years old. Using the data from this study you can only say that drinking in moderation is good for middle aged white women, and that’s one of the main problems with this study. To make this study more credible, they should have followed the results of men and women of all different races. Also, this study was observational. To make the study more accurate and controlled they could have made it an experimental study, making the amount of drinks per week constant throughout each group the are testing. Doing that, however, might be problematic because it doesn’t seem morally right to have someone consistently drink alcohol every week. So, is drinking in moderation good for you? Maybe. But, as Qi Sun, M.D. mentions, that doesn’t mean that every nondrinker should start having a couple drinks per week. Healthy eating habits and daily exercise will keep you a lot healthier than drinking in moderation. This entry was posted in Uncategorized on December 2, 2016 by Johann Michael Kok. I guess moderation really is key. I took a nutrition class last year and we examined the effects of heavy drinking on the liver. It was scary to see the damage that could be done to your body by alcohol. It also surprises me that alcohol in moderation actually lowers your risk of contracting a chronic illness. 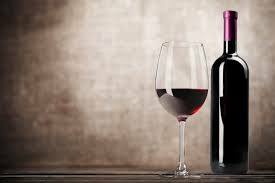 I have always heard that a glass of wine everyday had some health benefits, but I never knew what those benefits were. This is the third post I have read on alcohol consumption and what it means to your health and how it effects you and I still find it to be an extremely interesting topic. College is definitely the time when students like to unwind on the weekends, let loose, and have some fun. The way us college students know how to best do that is to consume alcohol. You are correct in saying that the way most of us consume alcohol is nan unsafe and unhealthy manner. Doing so has many health risks that definitely should not be ignored. However, it has truly been proven that wine actually has some health benefits. Just because there are proven benefits to consuming wine does not mean that everyone should start drinking wine avidly because that is not the point of it. Everything is good in moderation and having a glass of wine every so often isn’t as bad for you as everyone thinks (even though it doesn’t mean it is good).